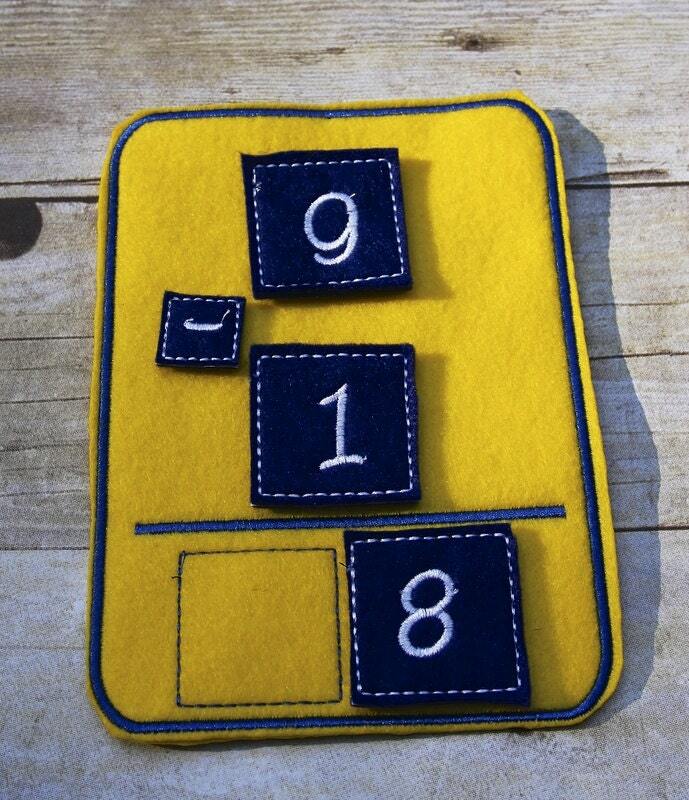 Felt, single digit math activity mat with three sets of numbers. 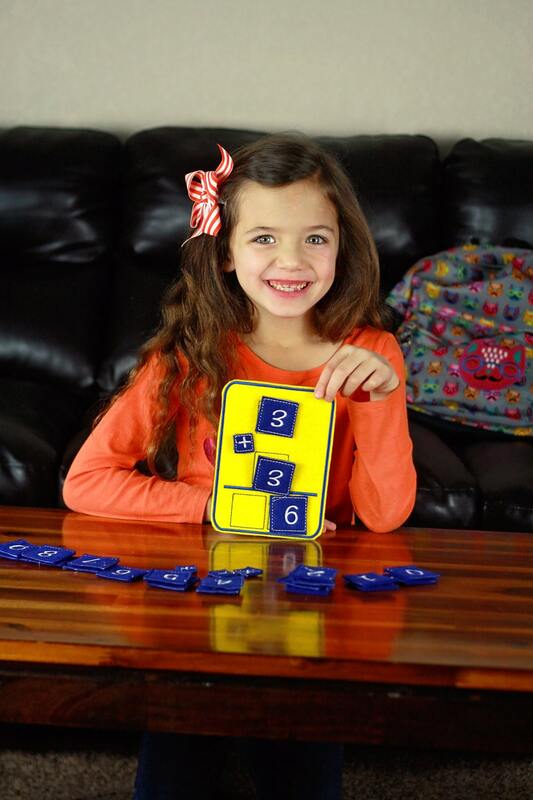 This educational activity will allow your youngster to practice single digit addition, subtraction, multiplication, and division. 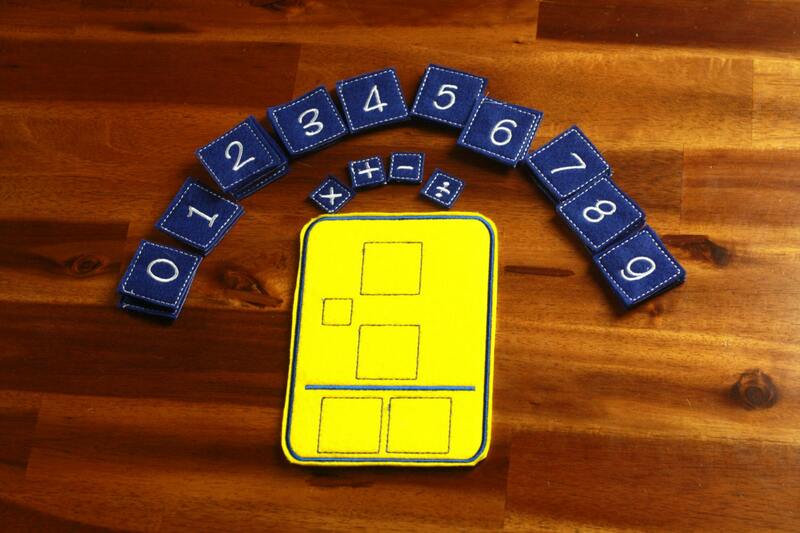 This felt learning tool set will grow with your child. 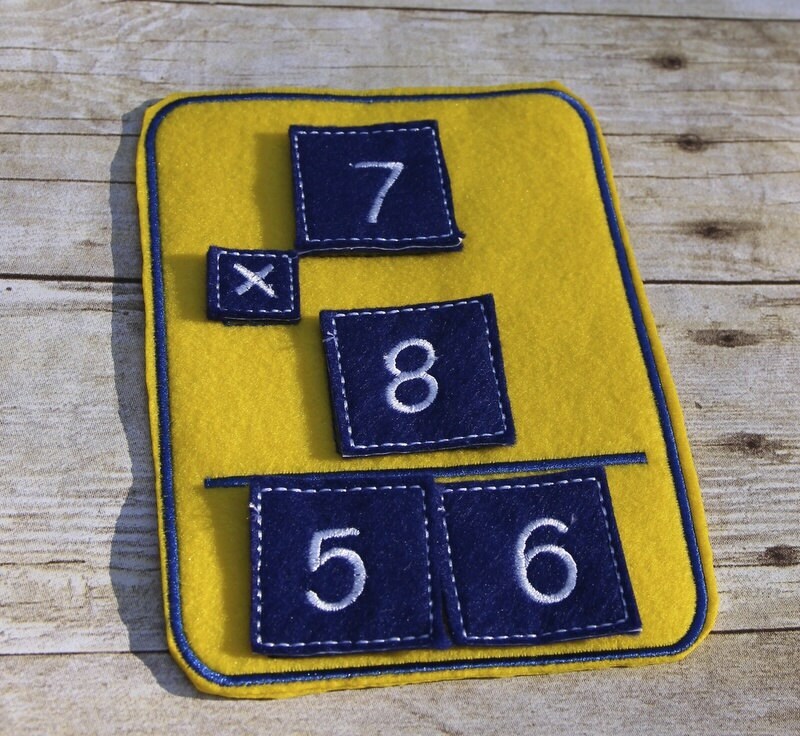 Use it when they're learning single digit addition and subtraction then pull it out a year or two later for multiplication and division. 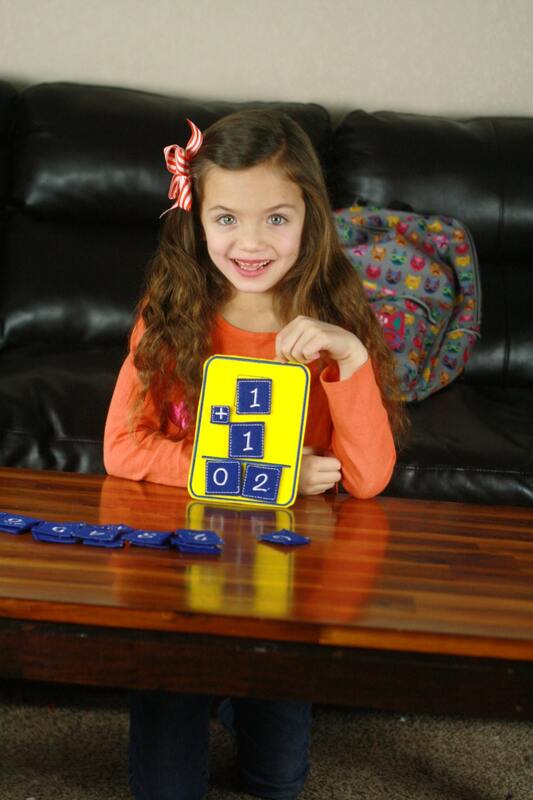 Use as a math game to reinforce learning. Makes a great teacher gift. Can be used as a learning center in a classroom.